COPIAGUE, NY — A new one-stop shopping concept offering fresh convenience in food service, coffee, and fuel is coming to Suffolk County’s South Shore. QuickChek, a market leader with an exceptional fresh coffee and fresh food program offering restaurant-quality food at value prices, is opening a new 6,929-square-foot fresh convenience market at 1147 Sunrise Highway in Copiague on Tuesday, April 10, 2018. The family-owned company was named the 2016 National Convenience Store Chain of the Year and its renowned globally-sourced, locally-roasted fresh coffee was named best in America in a national consumer survey by Technomic. Known for its handcrafted subs and extensive selection of 21 varieties of coffee including fresh brewed hot coffee, self-serve cappuccino and iced coffee, QuickChek stores provide one-stop shopping, offering a wide variety of grocery and market items including fresh baked goods from an in-store bakery, an expansive craft beer selection and excellent speedy customer service provided by locally hired team members. The new store will be open 24 hours a day and will feature touch screens that enable consumers to create delicious made-to-order breakfast sandwiches and handcrafted oven-toasted fresh QuickChek subs, sandwiches, wraps and salads and personalized hot and cold beverages exactly as they want them, any time of day or night. Amenities include no-fee ATMs which provide additional added value to consumers; indoor seating for 12 people; eight gasoline pumps offering 16 positions for high-quality fuel at competitive prices; and 61 parking spaces. The new store will create 40-50 new local jobs including eight management positions. Each QuickChek location generates approximately $1 million in tax revenue, adding to its positive impact on the community. Grand Opening promotions include free large QuickChek hot coffee offered to all patrons from April 10-22, 2018. “We feel the design of our new Copiague store provides an excellent showcase for our high-quality, great tasting fresh food and beverage menu items as we continue to meet the ever-changing shopping and dining habits of today’s consumer,” said QuickChek CEO Dean Durling, whose company was named the industry’s 2016 Food Service Innovator of the Year. Fast friendly service, self-checkout counters, well-lighted parking lots with wide easy-to-use entrances and exits further meet the needs of today’s on-the-go shopper, as does QuickChek’s expanding mobile ordering menu which enables consumers to place their order in advance and pick up in store at the designated area, select any other items they wish to purchase, pay, and be quickly on their way. But there’s more than great subs and great coffee that will make this your new shopping destination. 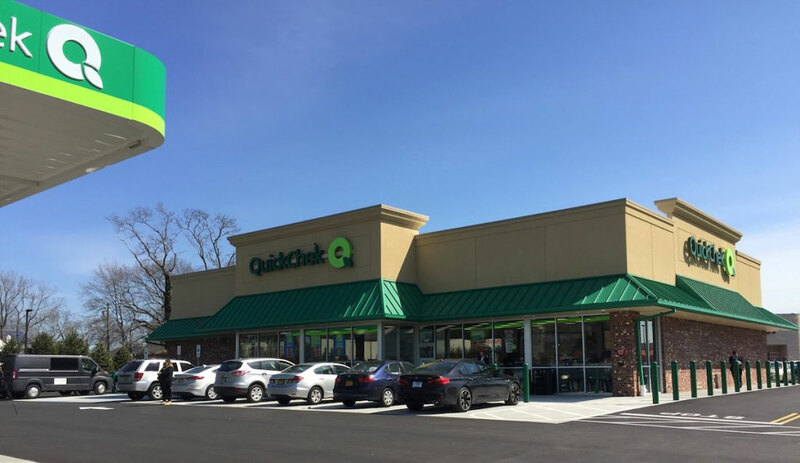 QuickChek operates 155 fresh convenience market locations throughout New Jersey, New York’s Hudson Valley and Long Island including 10 stores with pharmacy and 70 locations with fuel. The privately-held company enjoys the rare distinction of being named one of the best places to work in both New York State and New Jersey. This will be the company’s third Long Island location. Committed to giving back to the communities it serves, QuickChek will donate $0.25 for every sub, sandwich and wrap sold in the store from April 10-May 9, 2018 to the Copiague Eagles youth baseball team. The company has been a past supporter of Copiague Community Cares, a community coalition comprised of parents, teachers, law enforcement, businesses, religious leaders, health providers and other community activists working together to make the Copiague community safer, healthier and drug-free. During its grand opening, all 6-inch QuickChek subs are $3 for a limited time and all handcrafted QuickChek smoothies and specialty drinks are $2 from April 10-22, 2018 and empanadas are 2 for $3 from April 10-22, 2018. Consumers can enjoy additional convenience and savings at any of the company’s store locations including Copiague by downloading the QuickChek mobile app at www.quickchek.com. Loyal customers are rewarded with a free coffee after they purchase six coffees.